As part of my desk decorations for my birthday, my coworkers bought me some balloons. I didn’t take them home with me before Thanksgiving break because it was really windy outside and I didn’t want to deal with them. Surprisingly, when I came back from break, two of the three balloons were still in the air. I was quite impressed and I took them home that night. The balloons are now going on their fifth week and they are still floating! Perhaps I haven’t had enough balloons in my adult life but this seems strange. 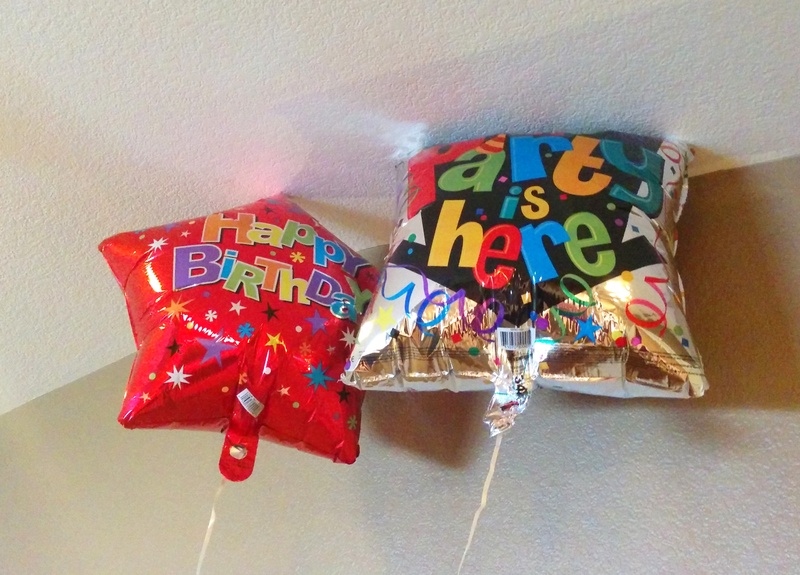 How long do helium balloons normally last? A week? Maybe two? I’m really impressed. Maybe I should start a bet as to how long it will take for these balloons to deflate. In the meantime it’s nice to look up and see them floating there.